As a blogger, you might have written different articles related to different keywords, and you must have observed that some of the keywords are ranked on search engines and bring good traffic and have a good CPC too and some don’t have any value for your websites. Now, are you eager to know the know the reason? Indeed, the reason is the keyword you choose to write about. The keyword is one the vital part of blogging. If you don’t select a good keyword for your article, your hard work will be fruitless. Choosing a high volume search terms and a proper keyword is the key for a successful blogging. As it’s said by many professional entrepreneurs that writing many articles is not essential for having a good traffic on your websites but writing less for a high volume search terms will give a better result. Hence, Here I am going to introduce the 10 best websites to check keyword rank & value, keyword ideas and search volume predictions. Google Keyword Planner tells us everything we need to make an informed decision. It gives you a good idea on which keywords are the best for your business. 1. In order to use a Google keyword planner, you need to have a Google Adwords account. If you don’t have the account you can create by clicking here. 2. Login to your Google Adwords account and click on the wrench icon in the toolbar at the top of the page. 3. Choose the Keyword Planner from the menu. for SEO-focused keyword research, these two tools are enough to generate thousands of potential keywords. 5. As it says “Enter words, phrases, or a URL related to your business” this tool is ideal for finding new keywords. There you can enter words, phrases and even a URL related to your business. Once you have entered your information, click Get Started option. In the keyword result page, you can see the result and ideas about your keyword where you can use the options like the filter to filter it according to your own need. You’ll also see the same Keywords Results Page you see when you use the “Find new keywords” tool. 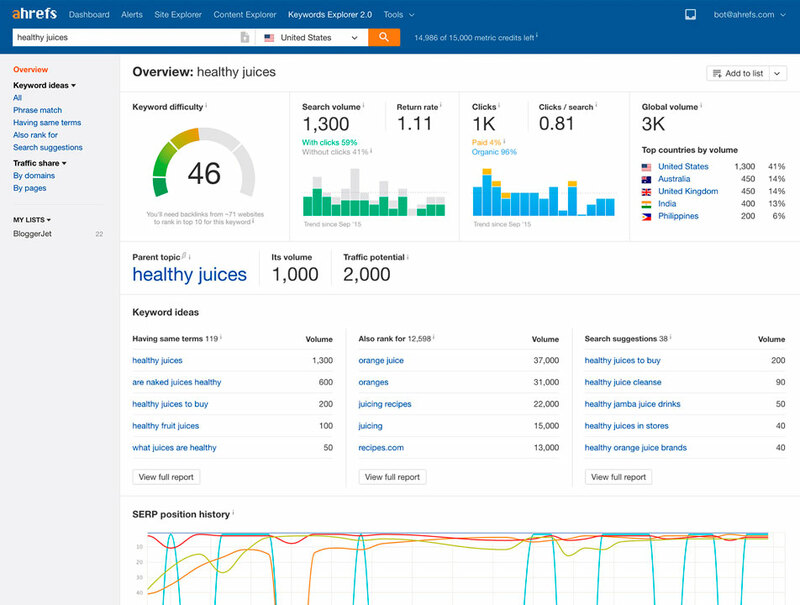 Here Google will predict how many clicks and impressions you get from the keywords you entered. Ahrefs is a paid tool, but if you sign up for a free trial and then cancel, you will maintain access to a free version of their tool. SEMRush is another best websites to check keyword value. Just enter your website URL or any URL or a blog, it will show you which keywords you are currently ranking for. Moreover, you can check the keyword competition and other details. This keyword tool is easy to use and you can use it for 2 weeks for free before deciding whether you want to subscribe. MOZ is one of the best keyword explorers. This tool can discover and prioritize the best keywords to target for your business or blog. You can explore on MOZ by keyword, root domain, subdomain or page. You can log in or sign up and use this keyword tool for 30 days free before deciding to subscribe. 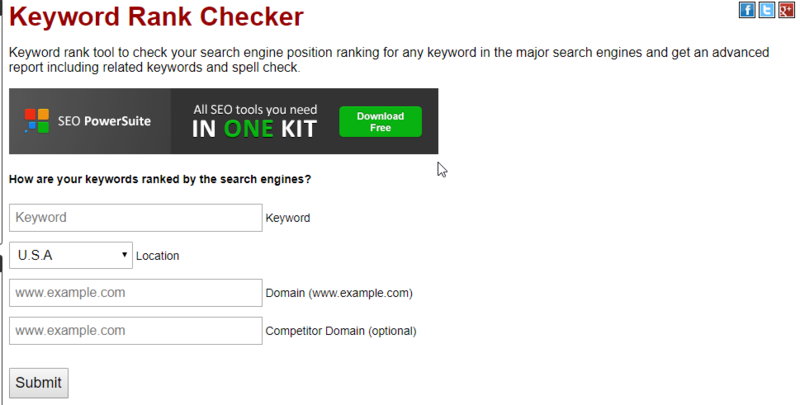 SERPWatcher is the best keyword tool which lets you track keyword position for any domain. The pricing is most reasonable under the paid tool and will fit your pocket perfectly. Keyword Tool is a free online keyword research instrument that user Google Autocomplete to generate hundreds of relevant long tail keywords for any topic. This tool gets keywords to suggest ideas from Google, YouTube, Bing, Amazon eBay, and App Store. What Keyword Tool can explore? For free, you will get hundreds of suggested keywords, but you need a paid plan to access search volume estimations. WordStream is indeed a paid tool that can help you search marketers manger their pay per click campaigns. 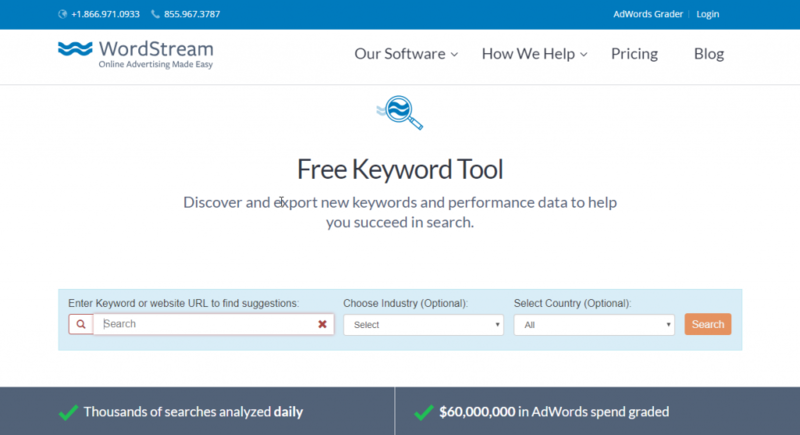 The WordStream’s Free Keyword Tool makes it fast and easy to find the keywords your business needs to drive traffic through organic and paid search. With WordStream you can link your Google AdWords account through a completely secure connection to get even more data that will make your job easier. SEOCentro is one of the best tools for checking keyword position in Google and Bing searches. You can get the advanced report including related keywords and spell check. Bing Keyword Research Tool is a priority to get keyword ideas and suggestions for your content. To use this tool you need to sign in or sign up for Bing Master Tools. What Bing Keyword Research can explore? You need to have a website verified in Bing’s Webmaster Tools in order to use the tool, but it is otherwise free to use. Keyword Discovery provides access to the biggest keyword database derived from all the search engines. Access to search phrases that people use to find products and services, as well as the search terms that drive traffic to your competitors. 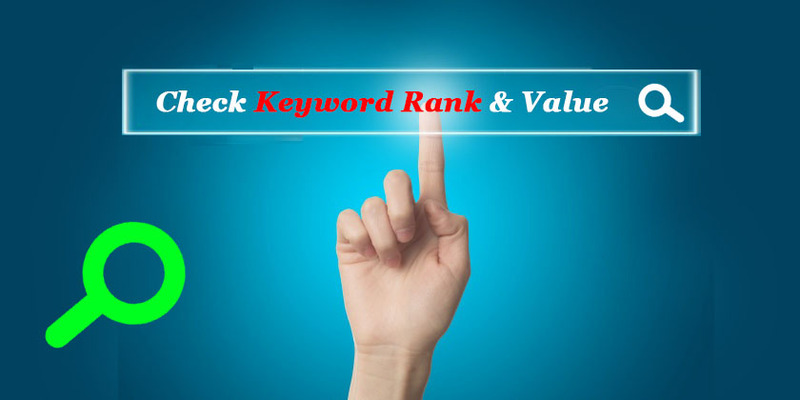 If you know best websites to check keyword rand & value or keyword position checker tools which work well for you, let us know via the comments section below.